Of all the work we undertake and the multitude of uses our pontoons are put through, the most common requirement our clients have is undertaking bridge inspection or a bridge repairs. 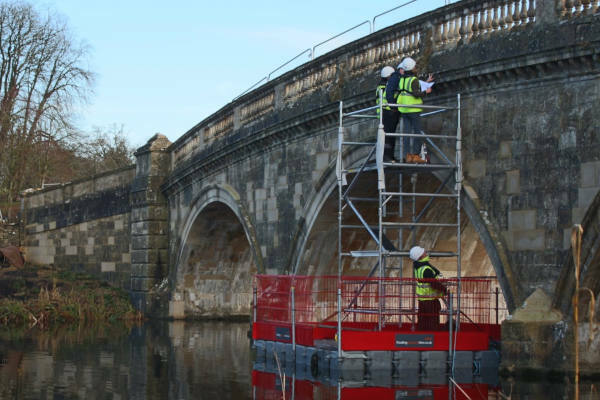 The pontoons offer a safe, stable platform from which to undertake works. Whether its a simple visual inspection of the underside of the bridge. 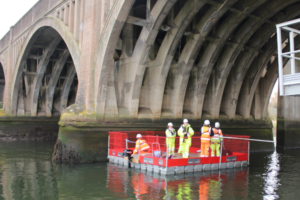 Or access towers and space for multiple crew are needed we can provide a pontoon to the and shape and size requirement you have. We’ve recently undertaken two such jobs in very different locations. 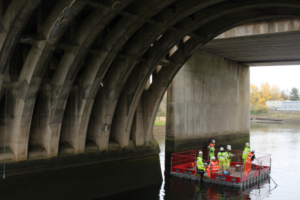 Hampshire Council required access to the underside of Redbridge Viaduct, a busy road bridge on the way into Southampton. 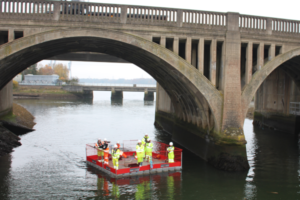 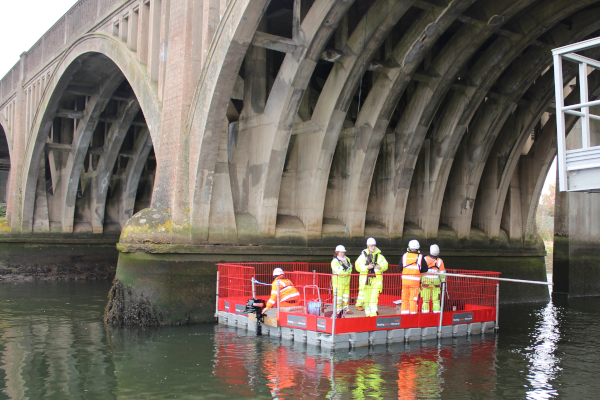 We provided a 5×5 metre pontoon with Combisafe edge protection and a 6 hp Suzuki outboard motor allowing structural engineers access to the underside of the bridge. We even provided a RYA accredited skipper to manoeuvre the pontoon for them. 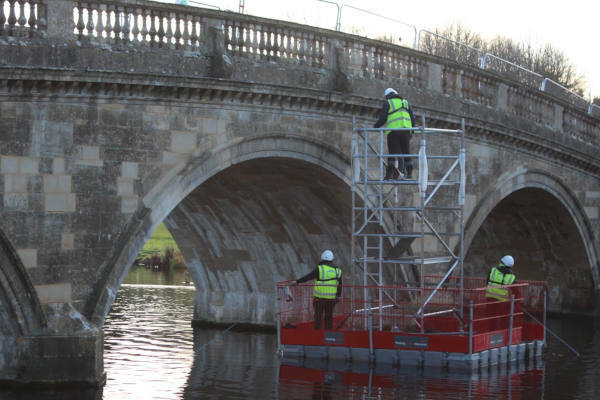 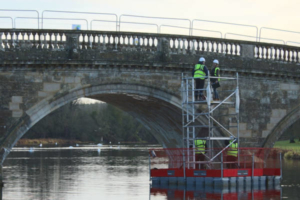 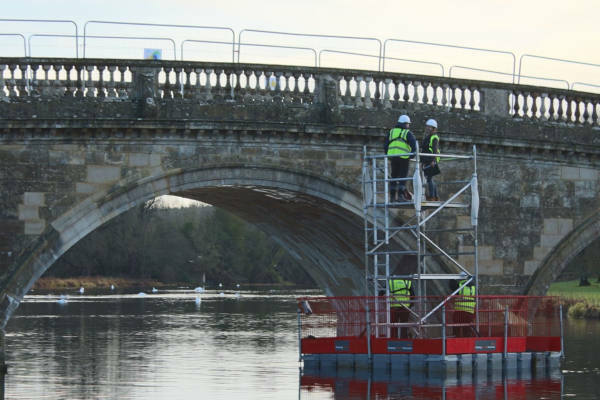 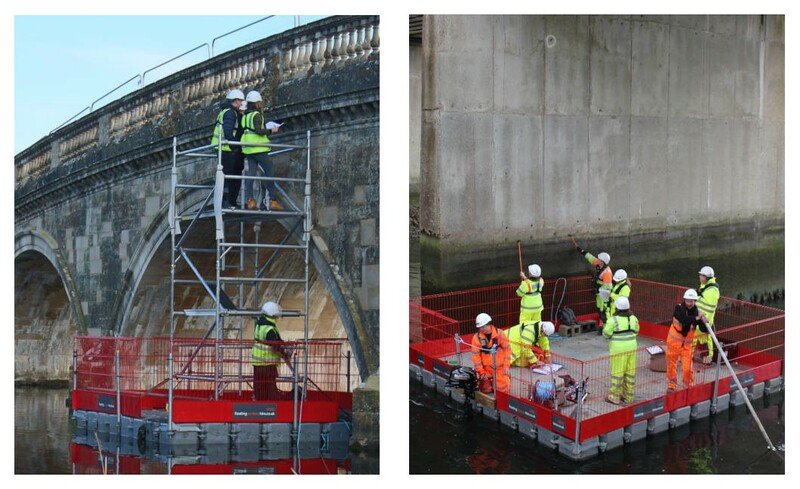 At Blenheim Palace in Oxfordshire a 4x4m pontoon with aluminium access tower was provided allowing engineers close up access of the soffit of a listed bridge on the estate.